It’s CES time, you know what that means. It’s time to groan at another swarm of disappointing wireless earbuds littering the CES showroom floor. First in line are these supposedly un-losable monsters from Altec Lansing. Recognizing that earbuds would be even easier to misplace without the wires, Altec Lansing imbued the new Freedom True Wireless earbuds with, in Engadget’s words, “a GPS-like tracking” feature. It’s not exactly like GPS, though. The feature basically works by letting you use an app to make the misplaced earbud beep, just like a lost TV remote from the 90s. 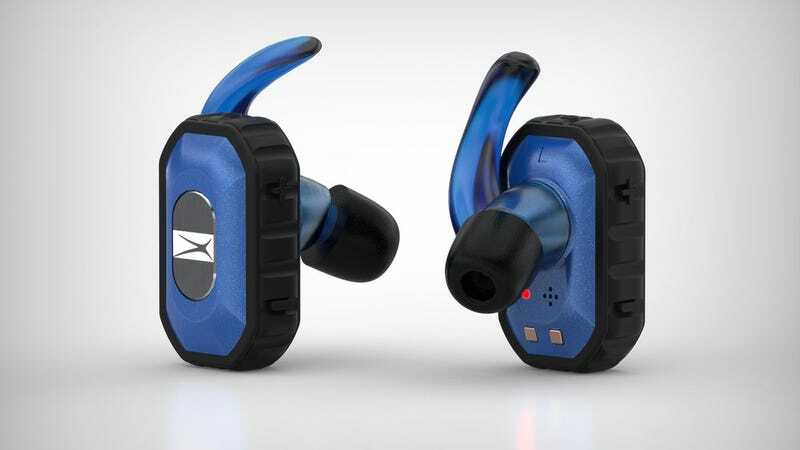 The clunky earbuds also include Bluetooth hardware inside each case to make them truly wireless. However, adding waterproofing and volume button features makes the $150 Freedom True Wireless look roughly as large as a fun-size candy bar. But hey, everybody’s going big with the earbuds these days. Pretty soon they’ll be the same size as wireless headphones but twice as goof-looking.